Hashkafah is a great Hebrew word without an exact English equivalent. Your hashkafah is your worldview. The term is often used when referring to one’s personal worldview as regards to religion and halachah (Jewish law). It’s the lens through which you view things. It’s how you understand a system. It’s your paradigm of thought. It dictates the way you think about things, and therefore impacts the conclusions you will reach. It’s your ideology and the reason behind your ideology. I’ve said this before but it bears repeating. I’m not writing because I think I’m smarter than other people and that I am delivering my learned pronouncements from some virtual ivory tower. I’m writing to explain what I’ve been learning and how it affects the development of my hashkafah. A person’s hashkafah (worldview or paradigm) is like the DNA that determines both appearances and actions as a fully formed body. If one’s outward appearance is inconsistent with his hashkafah, it will lead to cognitive dissonance and a crisis of faith. And that’s what I’ve been experiencing, both in my previous attempt to integrate into a local church and, ironically enough, in my encounters with Messianic Judaism. For instance, for Shauvot 2012, I attended First Fruits of Zion’s Shavuot Conference at Beth Immanuel Sabbath Fellowship in Wisconsin and I had a blast. I made connections with new people and deepened relationships with old friends. But the following year, I had started going to church and as a result, I was encountering some of that “cognitive dissonance” Boaz talks about. At the Shavuot conference in 2013, I was confused and conflicted as to who I was and what I was supposed to be doing. I eventually settled in, but not before behaving in such a way that damaged a number of friendships. The dissonance worked both ways, and not only made it unlikely for me to be invited to attend future Messianic conferences, but ultimately ended up with me leaving church as well. How do you resolve the dissonance between being attracted to a Messianic Jewish study and practice paradigm and yet not being Jewish? 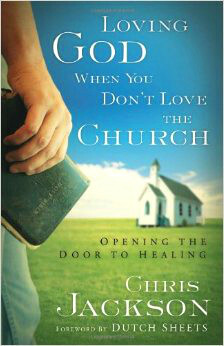 This is the reason I’ve been reviewing Pastor Chris Jackson’s book Loving God When You Don’t Love the Church: Opening the Door to Healing. I’m using my review series as the lens through which to look at whether there’s any likelihood of me returning to fellowship or if I should even try. Since Boaz’s letter speaks to what’s going on behind that concern, I consider examining it here part of that investigation. Most religious arguments involve bitter clashes over “what we believe” (theology) and “what we do” (praxis). If we do not share the same hashkafah informing our theology and praxis, this type of debate will be pointless and irresolvable. That, in a nutshell, describes the vast majority of the religious arguments that happen in the comments sections of my blog and many other religious blogs, especially in the Messianic Jewish and Hebrew Roots spaces. 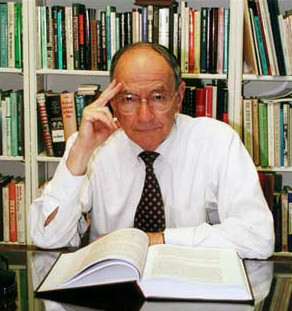 Boaz, spent much of his letter describing his perspective on the hashkafah of various related movements such as Christianity, One Law, Missionary and Post-Missionary Messianic Judaism, and then what he calls Messianic Judaism for the Nations, which is First Fruits of Zion’s (FFOZ) perspective. The practice of Judaism coupled with the realization that Yeshua of Nazareth is the Messiah, the New Testament is true, and the kingdom is at hand. My immediate question was how that’s supposed to work for someone who isn’t Jewish. Boaz answers that question subsequently, but does Boaz’s answer work for me? We’ll see by the by. I do want to mention something regarding Boaz’s hashkafah for Post-Missionary Messianic Judaism since Derek Leman said something similar recently. Post-Missionary Messianic Judaism is interested in practicing Judaism and maintaining Jewish identity, because Torah is seen as covenantally binding on all Jews. It has an interest in restoring the faith and practice of first-century believers for Messianic Jews, but not for Gentiles. Under this vision for Messianic Judaism, Gentile believers belong in Gentile Christianity identifying as Christians and Messianic Jews belong in Messianic synagogues identifying as Jews. It’s important to remember that Boaz distinguishes his personal (and FFOZ’s official) hashkafah from this Post-Missionary description, but it’s equally important to realize that there is significant overlap. So what does this mean for the so-called “Messianic Gentile?” What is FFOZ’s hashkafah for Messianic Judaism for the Nations? The practice of Messianic Judaism by both Messianic Jews and Messianic Gentiles for the sake of continuity with the New Testament and the coming kingdom. He further defines this view of Messianic Judaism as “the Judaism of the Messianic Era.” As far as that goes, I agree with him, and I’ve said more than once that when Messiah returns, as such, there will be no such entity as “the Church.” There will only be Messianic Judaism as it applies to Jews and to the people of the nations. Our hashkafah acknowledges Jewish authority. We do not believe the New Testament stripped the Jewish people of the biblical and God-given authority to transmit, interpret, and apply the Torah. Although the rest of the Jewish world may be enemies regarding the gospel, they are nonetheless beloved for the sake of the fathers (Romans 11:28). In other words, God did not abandon the Jewish people or Judaism nearly two-thousand years ago all for sake of the Gentile Christian Church. He didn’t change horses in mid-stream, and He didn’t jump from Plan A to Plan B in Acts 2 or anywhere else in the Bible, or for that matter, in post-Biblical times. God is with the disciples of Yeshua (Jesus) and God is also with His people Israel, the Jewish people, all of them, for the sake of His promises in the Torah and the Prophets as well as the aforementioned Romans 11:28. Our hashkafah distinguishes between Jews and Gentiles and their respective obligations to the Torah. Since we accept the authority of the apostles, who also made that distinction clear, we maintain distinction. We advocate the integrity of Jewish identity as defined by Jewish tradition, with all its associated prerogatives, privileges, responsibilities, and obligations. We advocate the integrity of Messianic Gentile identity with its own prerogatives, privileges, responsibilities, and obligations as defined by the New Testament. Although Messianic Jews and Messianic Gentiles are two distinct groups, they share one religion. While I wholeheartedly agree with all of that, I still asked myself where the Gentile praxis is defined specifically. It seems to vary from one Messianic group to the next, and my personal response was to give up all (or almost all) practice that could even tangentially be considered Jewish (I will still occasionally use a siddur). I’m writing this on Saturday afternoon (I’m not much of a Sabbath-keeper anymore). Last night, my family and I had a very pleasant, low-key, and quite yummy Passover seder. I’m still getting full noshing on left-over matzah ball soup, and matzah and hummus. This morning, my wife (who is Jewish) went to shul at the local Chabad, and I believe she’ll be attending the second seder night there as well (which means she won’t be home until very late). One of the obligations I believe we “Messianic Gentiles” have is encouraging and supporting Jewish Torah observance. To that end, I’m delighted she can partake of Jewish community as a Jew. I wish the same for all Jews, Messianic or otherwise. I would encourage you to see our various works in our Mayim Chayim series: Mezuzah, Tzitzit, Tefillin, etc. Apparently there is a praxis for Messianic Gentiles, and after a few minutes and a quick Google search, I remembered that in past years, FFOZ had published a series of small booklets about different aspects of Jewish practice as applied to non-Jews. Toby Janicki wrote about Gentiles and Tefillin in this 2007 blog post. However, a quick search of the FFOZ online store front didn’t yield any positive results, so I can’t point you to where to purchase them. I remember possessing at least some of these booklets in the past, but either I loaned them to interested parties who never returned them, or they didn’t survive one of my wife’s “reducing clutter” projects. I should point out that I do not believe that Gentile believers need to leave their churches and join a Messianic synagogue or Sabbatarian group in order to be part of Messianic Judaism. 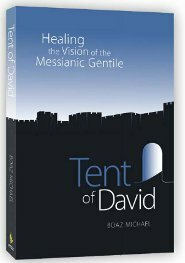 As I advocate in my book Tent of David, I feel the best place for most Messianic Gentiles, at this point in history, is to remain in their respective churches, supporting the local church’s efforts for the kingdom and becoming an ambassador within that church for this message of restoration. 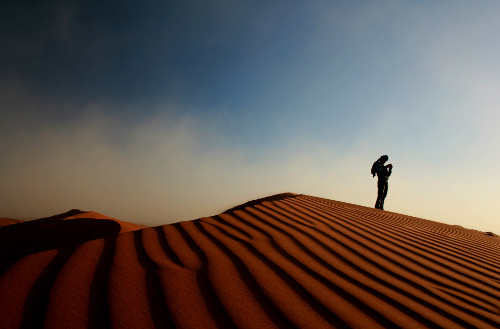 Yes, it may be lonely, one may face theological opposition in the form of subtle anti-Semitism and not-so-subtle replacement theology, but disciples of the suffering servant should expect to suffer a little bit. If we greet only those who greet us and love only those who love us, what reward will we get? I think Boaz’s suggestion works with some Messianic Gentiles in some churches under certain circumstances. I don’t believe it can be universally applied to all Messianic Gentiles in all churches under all circumstances. Of course, that’s not what I think Boaz is suggesting, but still, we must acknowledge that in terms of the “Tent of David” ideal, one size does not fit all. Don’t worry. It’s not like I’m pounding on the doors of some Messianic Jewish community demanding to be let in. Far from it. As I’ve said many times before, my current family situation would prohibit such a thing, even if the perfect Messianic shul was just down the street from my house. As far as church goes, I went in with the idea of being an ambassador and left to avoid being a nudnik (pest), at least any more than I’d already become. 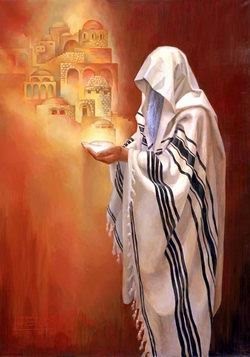 At the same time, I believe that the Messianic synagogue should function as a daughter of the holy Temple: “A house of prayer for all nations.” What would it look like if Messianic Judaism was to open its doors to the many Gentiles who come flocking to Messianic Judaism seeking leadership, direction, and spiritual guidance? What if Messianic Jews took up our role as the head, and not the tail, and we began to lead and shepherd our Master’s flocks? What might that look like? Given the goal of maintaining Jewish identity and distinctiveness, all of that is easier said than done. Boaz says “Messianic Judaism is the Judaism of the Messianic Era–practiced today.” Well, sort of. There’s still so much we don’t know about exactly how Messiah will consider Jewish vs. Gentile devotees. It would be nice to believe there’s a way to smooth out all of the rough edges between Jews and Gentiles sharing Jewish community in Messiah, but I can only have faith that this is something Messiah will accomplish when he returns. What’s the bottom line for me? Like my reviews of Pastor Jackson’s book, while I can see what both of these authors mean, and I can see it working for others, I don’t see a personal application. I’ve said before that I was willing simply to surrender the idea that I must be in community at all. I have limited social needs, so it’s pretty easy for me to be self-contained and to progress forward as an individual. Relative to my faith, it’s what I do at home anyway. It was only the concerns of a friend that had me return to this topic and take another look. I’ve finished reading Pastor Jackson’s book and I’ll continue my reviews soon. Final Note: I realize that every time I mention Boaz Michael and First Fruits of Zion, those people who have “issues” with him and his organization tend to make a number of rather “uncomplimentary” remarks in the comments section of my blog. I insist that you stick to the actual issues I’m discussing, that is the hashkafah of Messianic Judaism for the nations as contrasted with Post-Missionary Messianic Judaism and with Christianity as applied to my personal situation. If you can’t comment within the bounds of decorum and avoid committing lashon hara, then consider not commenting at all. Thank you. In November of 2014, the Caspari Center in Jerusalem invited me to participate in a panel discussion titled “Four Different Views on Messianic Judaism.” It wasn’t a debate, but rather just an opportunity for the panel members to express their own thoughts on the subject. I’ve been having an interesting discussion in a closed Facebook group dedicated to Messianic Judaism in relation to my blog post Will Our Children Have Faith. Some of the dialogue addressed issues of Jewish and non-Jewish roles and responsibilities within the Messianic community and whether or not there should be any significant presence of Gentiles in Messianic Jewish synagogues. When I say that “Messianic Judaism is the practice of Judaism,” I mean to imply that we should regard ourselves more of a functional sect of Judaism rather than another Protestant Christian denomination. I realize that this definition of the Messianic movement is not to everyone’s taste, and that many Messianic Jewish leaders would phrase it differently, but I believe that Messianic Judaism should be a real Judaism — not a Jewish flavored sect of Protestant Christianity. Messianic Judaism in Israel is faltering and fragile, and Messianic Jews here face enormous pressures. For the most part, Messianic Judaism in Israel has been raised up under the heavy influence of Missionary Messianic Jewish theology, and the Messianic congregations in Israel are sometimes more like Pentecostal churches than Messianic synagogues. I know nothing of Messianic groups in Israel, but I’ve attended plenty of Gentile-driven Hebrew Roots groups over the years here in the U.S., and their services are often some form of “Jewish-lite,” with a few really seeming like typical Evangelical or Pentecostal churches with a little Hebrew thrown in for seasoning (and to be fair, a few of them strongly attempt to map to a more authentic synagogue service). But Evangelical and Pentecostal Christianity is where the movement came from decades ago and the influence of the Church on the Messianic movement can still be keenly felt, particularly, as Boaz points out, in Israel. However, I’m building to a point which is to call out a few details about the four perspectives Boaz presents in his letter. The presenters, other than Boaz, at the Caspari Center for Biblical and Jewish Studies were Seth Ben-Haim (UMJC; MJTI), Baruch Maoz (Soli Deo Gloria), and Alec Goldberg (Caspari Center). Mr. Maoz’s perspective on Messianic Judaism matches how Evangelical Christianity sees the role of believing Jews; that Jesus replaced the Law and that a Jewish Christian is no longer obligated to observe the mitzvot. Mr. Ben-Haim’s view is the polar opposite and coincides with Rabbi Mark Kinzer’s conception of Bilateral Ecclesiology as presented in his book Post-Missionary Messianic Judaism: Redefining Christian Engagement with the Jewish People. Peace, particularly between believing brothers and sisters and between Jews and Gentiles. Torah observance for the Jew in Messiah. 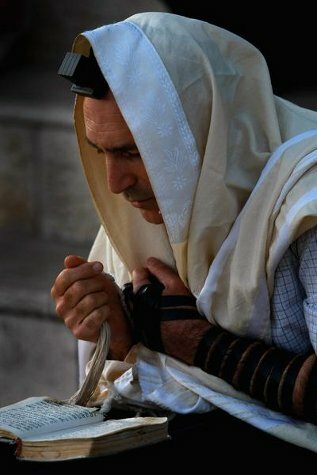 Observance of the traditions in Messianic Judaism. Gentiles: I stated that, since the kingdom is represented by both Jews and Gentiles worshiping together, Messianic Judaism today should have a mechanism and broad enough self-definition to include Gentile disciples in positive and affirming ways. This is the message of Messianic Judaism for the nations. As you can see, Boaz’s definition of Messianic Judaism is very inclusive of non-Jewish disciples, although it’s true that he didn’t specify what sort of mechanism should be used to “include Gentile disciples in positive and affirming ways.” He did mention the phrase “Messianic Judaism for the nations” which also appears on the website of Beth Immanuel Sabbath Fellowship located in Hudson, Wisconsin. Beth Immanuel is led by one of First Fruits of Zion’s (FFOZ) head teachers D. Thomas Lancaster who has also been a good friend of Boaz’s for many years. The fact that Beth Immanuel seems to have a leadership that is mostly Gentiles and presents itself as “Messianic Judaism for the Nations” may be the mechanism Boaz had in mind. But this doesn’t change the need of Jews in Messianic Judaism to belong to wholly Jewish community and to live completely Jewish lives of performing the mitzvot and observing the traditions, just like their other Jewish brothers and sisters in other branches of Judaism. 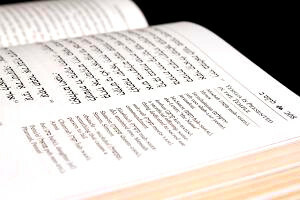 He said, “I have come to realize that as a Jew, I am called to live out the Torah.” Goldberg explained that the prophetic-kingdom promise of the new covenant in Jeremiah 31 had revealed to him that the Torah is part of the new covenant: “I will put my law within them, and I will write it on their hearts” (Jeremiah 31:33). Moreover, he had come to realize that the Jerusalem Council of Acts 15 which exempted Gentiles from circumcision and obligation to the Torah’s Jewish identity markers said nothing at all about exempting Jews from any aspect of the Torah. Since the Jerusalem Council did not address Jews in their ruling, he deduced that they intended Jewish believers to remain faithful to Torah. Actually, from my perspective now, Mr. Goldberg’s conclusions seem fairly obvious, since the problem the Jerusalem Council was trying to solve was what to do with all the Gentiles, not how has devotion to Messiah changed Jewish obligation to Torah. Jews and the Torah weren’t on the table, so to speak. Only trying to figure out how Gentiles were receiving the Holy Spirit without first converting to Judaism. The answer was that conversion was not necessary and thus Gentile Torah observance was not incumbant upon them, only an Abraham-like faith in God through Messiah. But like I said, Jews and Jewish Torah observance weren’t even on the radar screen. It seems that on occasion, a person’s long-held and firm beliefs can be changed thanks to regular and diligent Bible study and the influence of the Holy Spirit upon a human life. While I truly do respect Baruch Maoz for his tireless years of service to Messiah, I cannot find much common ground with his theological perspectives. His view that the Torah is canceled and Jewish believers in Yeshua have no obligation to it has been the prevailing view among Jewish believers here in Israel. Mr. Goldberg’s words offered me hope that things are changing. The very first point in Boaz’s definition of Messianic Judaism is peace. While he and Mr. Maoz may disagree, there is no animosity between them and Boaz acknowledges Mr. Maoz’s years of tireless and dedicated service to the cause of Messiah among the Jewish people. When Boaz mentioned having little common ground theologically between him and Mr. Maoz, I couldn’t help but think of my many conversations with the Pastor of the church I used to attend, and how that lack of common ground finally resulted in me leaving the Church again. The Pastor is an intelligent, well-read, and well-educated man who is faithful to God and a dedicated shepherd to his congregation. He’s a good person in the faith, but alas, we have greatly divergent perspectives, just as do Mr. Maoz and Boaz Michael. There are some churches and some Pastors who will benefit from the inclusion of a “Messianic” within their midst but I found that my church environment was not one of them. Ultimately, we all have to be the people God made us to be and follow the path He has put before us. But there’s hope. As Boaz said, people are changing. Jews are recognizing Messiah without the Goyishe mask the Church placed on his face nearly twenty centuries ago, and they’re recognizing that there is no inconsistency between living a Jewish life and being a Jewish disciple of the Master. Gentiles, for our part, are also meeting the “Jewish Jesus” for the first time, and once we get over the shock, are learning to accept him as who he is and accept ourselves as who we are in him. Who we are as Messianic Gentiles isn’t exactly how the Church defines a Christian, but it’s an exciting role which leads in new and unexpected directions. The Bible, studied from within a Messianic perspective, tells a radically different story about God’s redemptive plan for Israel and through Israel, God’s redemptive plan for the world. I don’t know how it’s all going to work out yet. There are a lot of roadblocks in the way. We must not discount the power of God to make happen what He promised He would do, even if we haven’t a clue about what comes next. Things are indeed changing, and HaShem is at work restoring his people and preparing us for the kingdom. We are part of something much larger than ourselves; we are part of what God is doing today. I went home rejoicing over the opportunity to participate in the conversation at the Caspari Center, and I thanked God for opening the door. If God can open the door that Boaz walked through, He can open doors for the rest of us. We must be patient. We must be ready. As you read this, I am traveling. I won’t be near a computer to approve any comments until this evening at the soonest. I’ll return when I can. Thank you. I read on Aish.com that “Every Jew is equally important to our mission.” Pardon my question, but exactly what is our mission? No need to apologize. The only bad question is one that remains unasked. 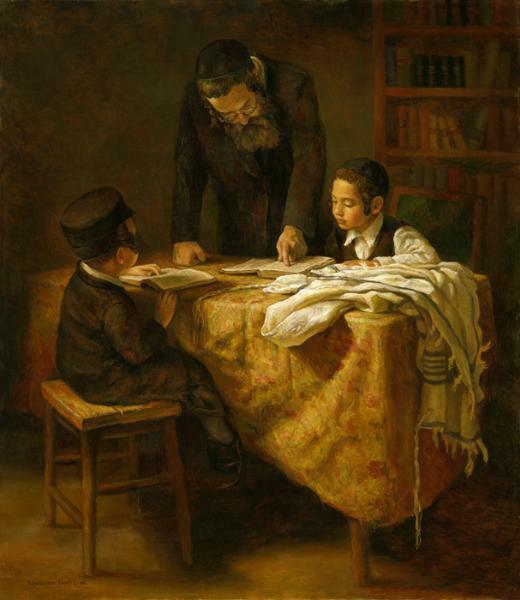 “Tikkun Olam” is the basis of what drives the Jewish people to greatness. It all started back with Abraham. His business was to go out and teach what it means to be “created in the image of God.” He demonstrated how a human being has to take responsibility for the world. Abraham’s undertaking was the first progressive, liberal movement the world had ever seen. And look how it succeeded! Tikkun Olam is the Jewish legacy. In looking back at the first 3,000 years of Jewish history, we don’t recall the names of any great entertainers or athletes or corporate executives. We recall the great teachers of the Jewish message: Moses, King David, Maimonides, the Vilna Gaon. That is the essential Jewish legacy. The message was engrained in our souls at Mount Sinai and it is the single defining characteristic of our people. 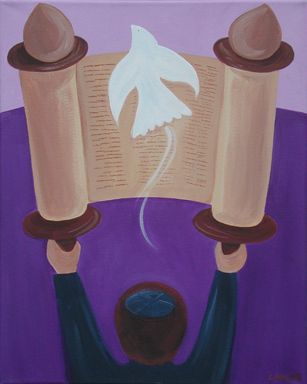 Torah methodology is universal – for Jews and non-Jews, religious and secular, Israel and the diaspora, left and right. The Torah is alive and relevant for today. And for the Jewish people, the ability to effectively communicate this message is our single most important undertaking. I hope this helps answer your question. Though this raises a whole new question: What are you going to do about it?! We don’t often think of Jews as “missionaries.” In fact, except for arguably the Chabad, religious Judaism doesn’t really practice anything we’d call “outreach. And yet we see in the above-quoted text that the Aish Rabbi, referencing Rabbi Noah Weinberg, not only believes that the “Torah methodology is universal – for Jews and non-Jews,” but that the “Torah is alive and relevant for today,” and like Abraham, it should be used to teach everyone that we were all “created in the image of God” as a responsibility the Jewish people have to the entire world. About a year ago, Rabbi David Rudolph delivered a sermon to his congregation Tikvat Israel called Our Mission in which he outlined the specific mission for his synagogue to reach out to the larger Jewish community in Richmond, Virginia. Others objected after listening to the recorded sermon, stating that R. Rudolph was being exclusionary and that the mission of any Messianic Jewish group should be equally to Jews and Gentiles. Interestingly enough, I find R. Rudolph’s approach to be quite Pauline in nature (Acts 3:26, 19:8-10, Romans 1:16, 2:9). Rudolph’s complementary sermon is called ”We Need Each Other” (find it by going to Sermons and then scroll down and look under the “Unity” category) illustrating that Jewish and Gentile disciples in Messiah need really do need each other. I chronicled all of this in two blog posts: Twoness and Oneness: From the Sermons of David Rudolph and Oneness, Twoness, and Three Converts. 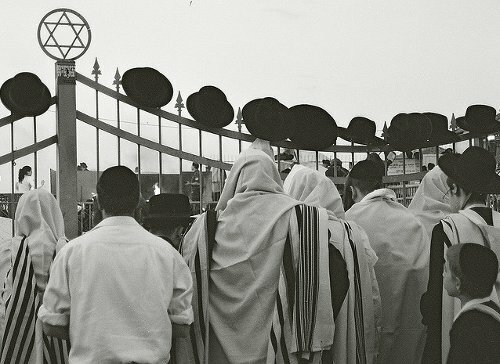 In a sense, this mirrors the larger normative Judaisms of our day in that the mission of religious Judaism is to bring secular Jews back to the Torah and to reach out to the people of the nations of the world, teaching them (us) the lessons of ethical monotheism and our responsibilities to the world as beings created in God’s image. I’ve been thinking of my own “mission” (so-called) to the Christian Church to share the “good news” of the Messiah, that all of Israel will be saved (Romans 11:26), that the Gentiles who are called by His Name (Amos 9:11-12) will come alongside Israel to raise the fallen tent of David, that the Temple will be called a house of prayer for all people (Isaiah 56:7), but only if we will take hold of the tzitzit of a Jewish man (Zechariah 8:23) who I believe is a very specific Jewish man, Messiah, Son of David, whom the Church calls Jesus Christ. It hasn’t gone so well and frankly, I’m concerned that any sort of effectiveness I may have once experienced is rapidly waning. I guess good news for the Jewish people doesn’t sound so good to Christians who are used to sitting in the Catbird seat, so to speak. I recently read an objection to the Noahide laws that religious Judaism applies to the rest of the world as the minimum standards by which the nations are expected to live. I also recall a story Pastor Randy told me about his time in Israel. He noticed a Jewish man would sit just outside a Christian church or seminary (I can’t remember which one) and after engaging the man in conversation, Pastor realized this man was trying to live out his “mission” to be a light to the nations. I think my friend Gene Shlomovich is trying to do the same thing and for pretty much the same reason. From their point of view, the Noahide laws are incumbent for all of humanity, Jew and Gentile alike. And if we are to take the Aish Rabbi at his word, Torah, in some manner or fashion is also applicable on all of humanity, not just the Jewish people. But it depends on what you call Torah or instruction, and it depends on how you want to apply the specifics of all those instructions on the Jewish people vs. the rest of the world. That actually doesn’t sound bad at all. Click the link I provided just above this list to read all of the explanatory text accompanying those commandments and you’ll see there’s more to them than meets the eye (the origin of the Noahide laws can be found in Genesis 9). Worship the One, true God and obey Him only. Sanctify the Name of God and bless Him. Preserve and sanctify human life. Cleave to and honor your spouse, forsaking all others. Only that which is yours may you use and consume. Treat the lesser beasts with compassion, committing no cruelty to them. Establish just laws and courts in judging your fellows because your God is lawful and just in judging mankind. Before complaining that you don’t have enough of God’s laws to obey, check and make sure you’re meeting even the minimum standard I’ve just listed here. If you’ve been paying attention, you should have noticed that each of these laws is quite Biblical and expresses the desires and will of God. They read like a condensation of the laws of the Torah and each of these laws can be unpackaged to produce a lot of detail. For instance, it would be difficult for a single individual to establish an entire court system for his or her nation, but we can take that commandment to also mean that we should treat other people in a just manner. In fact, part of the prayer Jesus taught his disciples (Matthew 6:9-13, Luke 11:2-4) includes the phrase “forgive us our debts as we also have forgiven our debtors,” implying (or outright saying) that God will forgive our transgressions in the same manner as we forgive those who have sinned against us. It is a terrible thing to fall into the hands of the living God (Hebrews 10:31). If this is a large part of the mission of the Jewish people to the rest of the world, it’s not so bad at all. In fact, you can see the Noahide laws as the place where Jesus was starting with the non-Jewish people, principally through Paul but ultimately through all of the apostles, and then trying to elevate us, first with the four Acts 15 particulars, and then ultimately in defining how the Torah of Moses is applied to Gentile believers. 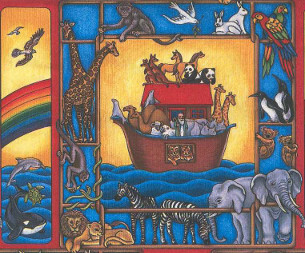 God entrusted Noah with a basic set of laws that were to be applied to all humanity. This was in the days before Abraham, and thus mankind knew or should have known what God expected of them…of us. Then, through Abraham, Isaac, and Jacob, and through Jacob’s children, the twelve tribes, the Israelites, the Jewish people, were entrusted to be a light to the nations (Isaiah 49:6). See, just as the Lord my God has charged me, I now teach you statutes and ordinances for you to observe in the land that you are about to enter and occupy. You must observe them diligently, for this will show your wisdom and discernment to the peoples, who, when they hear all these statutes, will say, “Surely this great nation is a wise and discerning people!” For what other great nation has a god so near to it as the Lord our God is whenever we call to him? And what other great nation has statutes and ordinances as just as this entire law that I am setting before you today? As you can see, Israel was to be a light to the nations from the very beginning. It is true that Israel has had great difficulty in fulfilling that mission. The Tanakh (Old Testament) is a litany of blessings and curses God has heaped upon Israel for cycle after cycle of obedience and disobedience. And yet as we’ve seen from D. Thomas Lancaster’s New Covenant lecture series, the intent of the New Covenant was not to change the Law and how it was applied, it was and is intended to change people so that we will be able to obey the law God has given us as applied to Jews and to the Gentiles called by His Name. While Peter was still speaking, the Holy Spirit fell upon all who heard the word. The circumcised believers who had come with Peter were astounded that the gift of the Holy Spirit had been poured out even on the Gentiles, for they heard them speaking in tongues and extolling God. Then Peter said,“Can anyone withhold the water for baptizing these people who have received the Holy Spirit just as we have?” So he ordered them to be baptized in the name of Jesus Christ. Then they invited him to stay for several days. 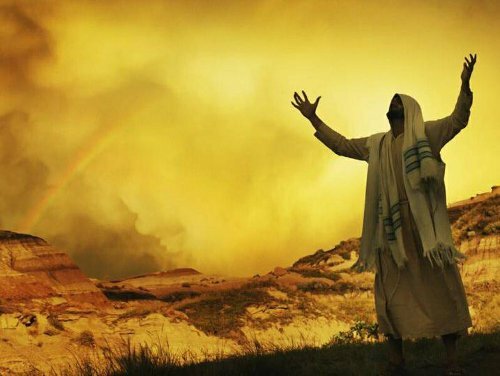 Unfortunately, the actual “good news” of the New Covenant blessings to the Gentiles has become rather warped in its meaning and in many cases, that it is good news to the Jew first has become forgotten, even though it is plain in the Biblical text (Romans 1:16 for example). The Jewish mission is to repair the world (Tikkun Olam) by returning the secular Jew to the Torah and to be a light to the nations, informing us of the good news of God. From a Messianic Jewish perspective (a viewpoint I have adopted), the perfect example of the “world repairer” is Messiah Yeshua (Christ Jesus). He assigned his disciples to be a light to the Jewish people and to the nations, and particularly Paul was to both return the Jewish people to a more specific observance of Torah (this was illustrated in articles written by Derek Leman and David Matthews at AncientBible.net) and to illuminate the Gentiles in the diaspora with the light of Messiah. But while the Christian Church has done much good in the world (and sadly in its history, also great evil), it is currently suffering from mission drift and is in desperate need of what you might call a Messianic Reformation. I think that was Boaz Michael’s intent in writing Tent of David and subsequently traveling back and forth across America giving Tent Builders seminars. And so it is now up to we Messianic Gentiles inhabiting our churches to carry that light back into the Christian community. But history teaches that we won’t always be successful and that some will reject our offer of good news, substituting what they already believe they have for what Jesus intended apostles like Paul to teach. We know from Paul’s own history that he received “mixed reviews” and that while some eagerly accepted the gospel of Messiah, others vehemently rejected it. Not all Christians are going to help raise the tent of David. Sometimes, they’ll let it fall. Addendum: since writing and publishing this blog post, I revisited something I wrote almost a year ago called Conquering Wrong with Right. 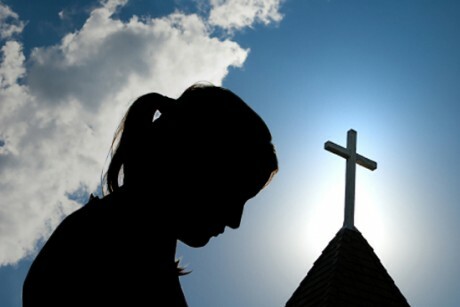 It was not so much a record of my own dissonance with normative Christianity but the Church as seen through the eyes of a millennial blogger; a young woman who doesn’t want to give up on the Church but who doesn’t see Christians living up to the ideal of Christ. I thought it was a fit addition to the current message. Even a fool will be considered wise if he is silent; when he seals his lips [he will be considered] understanding. There are instances when it takes courage to remain silent. It would be easier to speak up, but the right thing to do is to be silent. Someone insults you. You can easily say something in return that would be the equivalent of a devastating knockout punch. You don’t say a word. Your silence is an expression of courage. After a short absence, Pastor Randy picked up his sermons on the Book of Acts today and Sunday School resumed its usual schedule. The sermon and topic in Sunday School was on Acts 19:23-41. You wouldn’t think a riot in Ephesus (the featured image above is supposed to be a riot) over the teachings of Paul and his associates on “the Way” and how the result of those teachings were cutting into the prophets of the idol-making silversmiths would provide me with much theological or doctrinal angst. Really, it should all be pretty straightforward stuff. I provided the quotes above to illustrate how often I choose being silent rather than actually speaking my mind in Sunday School, because I might end up starting a small riot of my own. Not that I really want to, but because my opinions are so at odds sometimes with the people around me in church. There was actually quite a lot I agreed with in how Pastor Randy framed his sermon. I think people of faith are at their best when the society around them/us challenges us, and we are often at our worst in a culture or nation that completely accepts us (we tend to get lazy and assimilate into the politically correct realm). 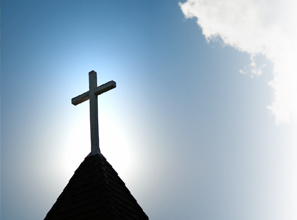 Christians aren’t really persecuted in the United States. Try being a Christian in an African nation dominated by Muslims and then you’ll see what persecution is really like. Just because someone disagrees with you and calls you names doesn’t mean you’re being persecuted. That’s the limit of “persecution” most Christians in America experience today. But then as Pastor was speaking and later on in Sunday School, I got to thinking about who I am in the midst of the local church. Pastor Randy and I had lunch about a week and a half ago, and in the course of discussing my recent blog posts, he asked me how I can call him “my Pastor” when I disagree with just about everything he says. Actually, I’d been thinking about that, too. I don’t really disagree with 100% of what he says and I really do learn a lot, especially about Christian history, in what he says and teaches. But it is true that even my understanding of the core of the gospel message isn’t exactly the same as how it is taught by most Pastors, including Randy (To learn more, see my review of FFOZ TV’s episode The Gospel Message, as well as what I have to say about Scot McKnight’s book The King Jesus Gospel: The Original Good News Revisited). Of course, during a sermon, one keeps quiet by definition but in Sunday School, I have to work on it. I know I’m risking being seen as a fool (and who knows, maybe I am) by even writing this when I should just keep my hands off the keyboard, but I don’t know if anyone else like me is recording their own Tent of David experience, and I figure someone should. So here I am. There were a lot of good things that came out of both the sermon and the Sunday School teaching. But I did catch the Sunday School teacher engaging in what I might call “Christian Midrash” by his applying the phrase “the way” as recorded in Genesis 3:24 and Psalm 1:6 to how it’s used to formally describe the community of disciples of the Master in Acts 19:23. After all, the term “the Way” used to describe followers of Christ didn’t appear in the Bible until Acts 9:2. I spoke to the teacher before class to ask about his method of constructing his lessons and he gave me permission to bring the matter up during class. Not really sure it was worthwhile, but if we are to be critical of people in Messianic Judaism inserting meaning on one part of scripture based on earlier texts where it might not really fit, shouldn’t we extend the same “courtesy” inside the local church? Jesus has become an idol, if you will, our focus of attention, our focus of worship, and it seems that very few think of God anymore. Seldom do we hear anyone speak of the glory of God, his grandeur and mercy, the holiness of God, and the other many attributes and characteristics of God. Please understand that I am not trying to lessen the importance of Jesus. What I am trying to do is emphasize that, in all the teachings of Jesus recorded for us in the gospels, his focus is not upon himself, what he is, what he is doing, or what he is to become. Additionally, Jesus has very little to say about God and, in particular, the Worship of God. My point is that, in the teachings of Jesus, there is not all that much emphasis upward. However, can we really say there are any other “idols” in the church? That seems like an odd question to ask. I suppose you might think of the Catholic Church or the Greek Orthodox Church, both of which use iconic symbols in their worship, but as Pastor Randy pointed out, anything that we put ahead of God in our lives can be considered an idol. Can Jesus be considered an idol if we focus exclusively on him and ignore God the Father? I don’t know. Some Christian songs that focus only on Jesus kind of bother me. The exclusive focus of some churches on the gospel as a plan of personal salvation without any thought to what else the gospel message says about what you are supposed to do with a “saved” life (the focus on Dr. Blizzard’s book relative to tzedakah) or the roles of Jewish and Gentile believers in preparing the world for the coming Messianic Age (often taught by the ministry First Fruits of Zion)…can any of that be considered an “idol?” Could “getting saved” and “getting other people saved” as our sole purpose in life actually result in our missing out of serving God in the other ways He actually intends? The church I’m at right now is very study and very service oriented, but a lot of other churches aren’t. Am I supposed to bring stuff like that up in Sunday School? If I chose to introduce Blizzard’s or McKnight’s or Boaz Michael’s perspectives (as I understand them) to the discussion at hand, what would actually happen? Probably nothing good. And so, I keep silent, except in the one place I can claim any sort of ownership over which is this blog. How can God’s Word have a similar irritating effect on you or me, when the Holy Spirit uses it to affect us materially, or in our religious beliefs, or our pride? No, I won’t be giving that answer. I only write about it here. But doesn’t that defeat the entire purpose of having a Tent of David experience? Probably, but offending people isn’t going to be very helpful in convincing people of an alternative point of view, so I suppose keeping quiet is the better part of valor. Pastor Randy reads my blogs so he’s quite familiar with my beliefs. I don’t doubt that I frustrate him terribly. I’m not trying to go out of my way to do so, but am I supposed to surrender my personal convictions on what I believe the Bible is saying or at least never write about them in a public forum such as the blogosphere? I admit not knowing what to do. This form of communication helps me process the stuff that’s going through my head. I did allow myself to make one minor comment on exegesis and eisegesis in Sunday School (not calling it that, of course) and otherwise kept my mouth shut for the majority of class. My opinion is that Pastor Randy is frustrated with me, in part, because he believes I’m an intelligent person but that I still don’t agree with how he teaches what the Bible is saying on a number of important subjects. I’m sorry, I really am. I’m not trying to be a troublemaker. That’s why I have to remind myself of what the Proverbs say about silence and wisdom and how that’s reinforced in the comments of Rabbi Pliskin. I also have to remind myself that being considered intelligent by someone is a far cry from being considered wise. It might be better to practice silence in order to learn wisdom (a lesson I desperately need to apprehend). It would be ironic if that were my sole purpose in the local church, but then who knows what really goes on in the mind of God when He directs His attention to your life or mine? Also, in the eyes of most Jews, the statement of Acts 15:1 seemed incredibly obvious. One does not come to Hashem except through Judaism. 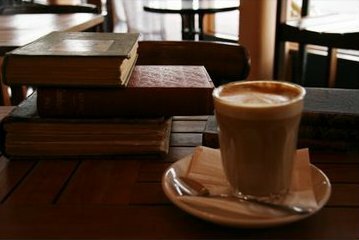 Even after I publish a particular blog post, I tend to obsess over it a little bit, searching for typos, finding a sentence that could be improved, that sort of thing. I try to do all this editing beforehand, but sometimes things slip by. That includes the above-quoted statement. Today, religious Judaism is adamant that of the three monotheistic faiths in existence, they do not require others to convert to their religion in order to merit a place in the world to come. You can be a righteous Gentile and in obedience to the Noahide laws, you can have a place in the coming Kingdom. No need to actually convert to Judaism at all. I realized that even in the days of the Apostle Paul, this was also true in some sense. It’s been suggested that some version or variation of what we call the “Noahide laws” today existed back then and was the operational guide for God-fearing Gentiles who populated the diaspora synagogues alongside the Jews and proselytes. I’ve been looking at Mark Nanos’ book The Irony of Galatians as it impacts my view of the actual epistle written by Paul and its intent toward the believing populations in the area of Galatia in that day. But what impact does it have on Gentile believers who worship among Jews today? I’m specifically thinking of Messianic Jewish congregations, those few of which I’m aware that are “owned and operated” so to speak, by halakhic and observant Jewish people who are disciples of Yeshua as Messiah. What is it like to be a Gentile, a fully equal co-participant in Jewish worship and community life, and yet not to be Jewish? For that matter, what is it like to be a Gentile believer in one of the variations of Hebrew Roots community life, be attracted to Jewish practice and the Torah, but find that the vast majority of people around you only have a so-so understanding of what that means and especially how to properly practice a Judaism (this isn’t absolutely true of all Hebrew Roots groups, but it is true of the majority of those I’ve personally experienced)? A non-trivial percentage of those Gentiles have left either Messianic Judaism or Hebrew Roots and like some of the first century God-fearing Gentiles, proceeded with the proselyte ritual, usually within Orthodox Judaism, and converted to that identity and that faith. In a Jewish or Jewish-like worship venue, especially with the involvement of traditional Jewish worship, study, and community practices, it can be easy for some folks to confuse Judaism for faith. That was the point of Paul saying in Galatians 2:3 that Titus, a Greek who came to faith in Yeshua, specifically wasn’t compelled to be circumcised (convert to Judaism). It’s why Paul cited Genesis 15:6 as recorded in Galatians 3:6 that it was by Abraham’s faith God reckoned to him as righteousness before Abraham was circumcised. According to most New Testament scholars, Paul likely wrote his letter to the Galatians before the events recorded in Acts 15 so it could appear that Paul was very much “shooting from the hip,” because the formal halakhic ruling regarding the legal status of Gentile Yeshua-believers within the Jewish worship and community context of “the Way” had not yet been issued. But Paul’s authority and assignment as the emissary to the Gentiles came directly from Messiah in a vision as we have preserved for us in Acts 9. If we can depend upon anyone to understand who the Gentiles were to be as worshipers of Messiah among the Jews, it is Paul. His letter was a response to the confusion and dissonance that was occurring between believing Gentiles and non-believing Jews (this is according to Nanos in his “Irony” book) in the Jewish communities in the region of Galatia. The synagogue was the only proper setting for the new Gentile believers to learn Torah and thus begin to understand the teachings of the Master, and this decision was eventually confirmed in the words of Acts 15:21. But while being a Gentile God-fearer was most likely a reasonably well-defined role, being a Gentile believer of the Jewish Messiah was not, especially to those Jews who did not share in that faith and quite possibly for some who did (see Acts 15:1). Several of D. Thomas Lancaster’s sermons in the Holy Epistle to the Hebrews series address a very simple message of the writer of Hebrews to his Jewish audience in Jerusalem. The message says to pay attention to what we have learned and not to drift away from our faith in Messiah, lest we grow cold in faith and distant from the lover of our souls. That distance can make us mistake who really loves us and like the addressees of Paul’s letter to the Galatians, we may think Judaism is our goal rather than Messiah, the living Word of God. The traditional Christian interpretation of Galatians (I know I’m over-simplifying it) is that Paul was attempting to convince both believing Gentiles and believing Jews that the “Law was dead” and replaced for everybody by only faith in Christ Jesus, inventing a new identity in the Jewish Messiah for one and all, and eliminating Jewish identity for Jews entirely. That’s very much like throwing out the baby with the bath water. Looking at the letter as Nanos sees it, it’s a cautionary tale specifically to the Gentiles not to confuse Jewish Torah observance and community life for the practices that accompany a Gentile faith in Messiah. Yes, many of the blessings and observances are identical for Jewish and Gentile disciples of the Master, but the identities are not. This is a warning we can heed today, especially those of us who though not Jews are still attracted to Jewish studies, the Torah, the Talmud, and the wisdom of the sages. The main reason Nanos wrote his book was to publicize an apprehension of Paul’s “voice” that did not give rise to anti-Jewish, anti-Judaism, and anti-Torah sentiments, that enhanced the relationship between Christians and Jews rather than divide them, and in honor of all the Jewish people across the long centuries who have suffered and died because (directly and indirectly) of the historical and traditional interpretation of Paul’s letters by the Church. 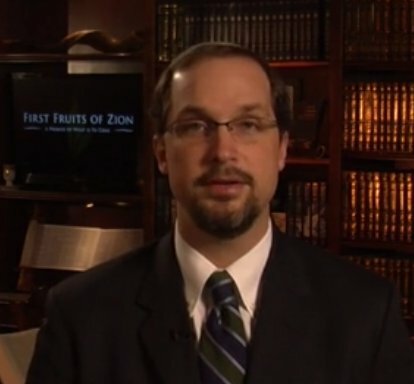 Even as Nanos attempts to penetrate Christian history and tradition through scholarly means in order to contribute to righting many terrible wrongs, Boaz Michael, President and Founder of the educational ministry First Fruits of Zion (FFOZ) approaches the same goal through a more “grassroots” method as he writes in his book Tent of David. This sends people back into the church with the same message, that we have been misreading Paul for a very long time and the result has been disastrous on an epic scale. We can correct the course of history by the grace of God, but we need to be willing to change. We need to be willing to see Paul in a radically different way as compared to Church history and tradition. We need to grant ourselves the ability to set aside our long-held preconceptions about what the Bible is saying and we need to resist two things: the desire to stay “safe” by digging in our heels and not even considering that Christian interpretive traditions could be wrong and, for those Gentiles attracted to Judaism in some manner or fashion, to resist the desire to abandon the Church, Christianity, and even Christ and embrace a fully Jewish identity through conversion. Neither option is correct. We cannot summon the Messianic future by holding on to an interpretive tradition that was born out of supersessionism and anti-Semitism, nor can we do so by exiting Christianity and the nations entirely and converting to Judaism as our only way of serving God. I’ve referenced Rabbi David Rudolph in a number of blog posts including An Exercise in Wholeness, Twoness and Oneness: From Sermons by David Rudolph, and Oneness, Twoness and Three Converts to describe how observant Jews, particularly in the Messianic framework, and Christians, both within the Messianic community and in the local church need each other in order to fulfill prophesy and prepare the way for the return of the King. In my opinion, no other avenue is going to work or is in accordance with the plan of God as we see, or as I see, in the Bible. If you are a Gentile Christian in a church and you have an awareness of the Messianic plan as I often describe on this blog, you have an opportunity to help raise awareness among other Christians. It’s not easy as I can personally attest, and most of the time, people in the local church will not want to hear your/my message. Still, the effort must be made, for who can say that by starting the process, even if you don’t see its completion, that what you began was not effective? If you are a Gentile believer in a Messianic Jewish or Hebrew Roots community, you do not have to apprehend Jewish identity in order to be an active and vital part of God’s plan. In fact, your Gentile identity is essential to bringing that plan to fruition. If the world was populated only with Jewish people (and that may seem attractive to many Jewish people), then the prophesies we have in our Bible about our role in bringing about the Messianic Age would be impossible to accomplish. Gentiles are absolutely needed, even as Jews are needed to be part of all that God said He would do. Paul didn’t go anywhere near what I’m saying in the Galatians letter, but as I continue to ponder this epistle and the book that Mark Nanos wrote about it, the implications are there. Paul was addressing Gentile believers existing and worshiping in a Jewish religious and community space. After a long absence, we are beginning to see that process and those relationships begin anew. The Apostolic Scriptures don’t paint a very plain portrait of how those relationships should work in an ideal manner. We only have examples of the struggle to find balance and harmony, which was probably never accomplished in Paul’s lifetime and which completely disintegrated in the decades and centuries after the Fall of Jerusalem. Whether you are Jewish or Gentile, Messiah does not require that you give up who you are and become something you are not. Jewish believers make a mistake by “converting” to Christianity and assimilating into the Gentile mainstream because God never intended “the Church” to finish the job of eliminating the presence of Jews on our planet that Hitler’s Holocaust started (I know that sounds harsh, but that’s how some Jewish people see assimilation, especially into a normative Gentile Christian identity). Jewish believers serve God by retaining a lived Jewish identity, by observing the mitzvot, by davening with other Jews, by being who God made them to be. Gentile believers make a mistake by thinking that being a member of the nations who are called by His Name means they/we aren’t good enough for God or somehow that status makes them/us insignificant in God’s plan. If you abandon your fellow Gentile believers and especially if you abandon Messiah and convert to Judaism, you defy one of the primary reasons for your existence. God has made all of the Jews He intends to make. 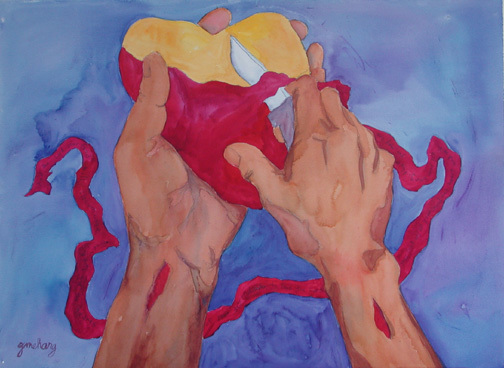 For some few, conversion to Judaism may be valid, but for the majority of us, the only thing we’re trying to satisfy through conversion is our own desires or to smother feelings of inadequacy. Only, as the Lord has assigned to each one, as God has called each, in this manner let him walk. And so I direct in all the churches. Was any man called when he was already circumcised? He is not to become uncircumcised. Has anyone been called in uncircumcision? He is not to be circumcised. Circumcision is nothing, and uncircumcision is nothing, but what matters is the keeping of the commandments of God. Each man must remain in that condition in which he was called. Were you called while a slave? Do not worry about it; but if you are able also to become free, rather do that. For he who was called in the Lord while a slave, is the Lord’s freedman; likewise he who was called while free, is Christ’s slave. You were bought with a price; do not become slaves of men. Brethren, each one is to remain with God in that condition in which he was called. Whoever you are, don’t give up who you are, because God created you and the roles you fill for a reason, even if you can’t see what that reason is right now. Paul may have written his letter to a group of people who lived halfway around the world two-thousand years ago, but in this case, I can perceive very clearly how his “ironic rebuke” is addressed to us today. Perhaps you can hear this message, too.